I realize not all of you share my affection for zombies. And why would you? They’re pushy, oafish, and often have insultingly-bad breath. 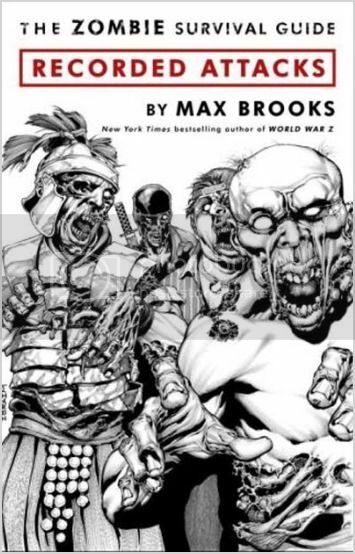 But when I found out that Max Brooks–author of the completely-remarkable and deservedly-hyped novel World War Z–had released a new graphic novel, The Zombie Survival Guide: Recorded Attacks, I knew it was my duty to inform you. This is the graphic novel the fans demanded: major zombie attacks from the dawn of humanity. Here are the grisly and heroic stories–complete with eye-popping artwork that pulsates with the hideous faces of the undead. Scripted by the world’s leading zombie authority, Max Brooks, Recorded Attacks reveals how other eras and cultures have dealt with–and survived–the ancient viral plague.